The Northview volleyball program has been one of the most successful in the state over the six seasons under former head coach Scott McDonald and current coach Erica Garrison. During that span the Knights have won sectional championships each of those seasons and have reached the state championship match twice as well as playing in another semi-state championship match and reaching another semi-state as well. The talent on the court during that time cannot be denied as a top notch middle school program with strong coaching as well as successful travel programs in the area have produced a steady line of great players to Northview High School. Over the last six seasons the Knights have compiled a 197-27 overall record. There are currently five Northview graduates playing on collegiate volleyball teams and one current Knight has already accepted a walk-on spot at the Division I level at IUPUI next fall. Alli Cook will join the Jaguars next season and current teammate Jenny Lundy will likely also continue her career in college. The 2018 Northview volleyball team reached the regional championship game last season and completed a 31-5 overall record. Seniors Olivia Lundy (West Virginia Wesleyan) and Sera Little (DePauw University) have continued to play at the college level. 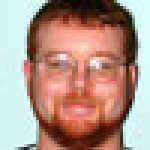 Lundy plays for Division II West Virginia Wesleyan in the Mountain East Conference. The Bobcats have struggled to a 7-19 overall mark this season and are 5-9 in conference play. Lundy has played well however and is most recently coming off a 10-kill effort on Tuesday in the Bobcats’ home finale in a 26-24, 25-22, 24-26, 25-23 loss to Glenville State. The freshman is currently fifth on the team in overall kills with 133 over 78 sets and a total of 21 matches. She has also posted 82 total digs and 20 blocks for the Bobcats. A pair of Knights have played a role in the Tigers’ success this season as Sera Little has played in 11 matches this season and 18 sets overall. Little has produced 14 kills to go with seven digs and a total of 11 blocks and 21.5 points for DePauw during her freshman season. Morgan Stearley is currently a junior with the Tigers and she is one of the top weapons for the team as she’s played in all 26 matches and 96 sets. Stearley has posted the team’s second highest kill total with 335 overall and she has also added 55 assists along with a total of 331 digs. Stearley has also added a total of 53 blocks and 394 points. Last season as a sophomore, Stearley had 327 kills over 103 sets and added 306 digs and 56 blocks. She was named to the American Volleyball Coaches Association All-Region First Team and was Honorable Mention All-American and a member of the all-conference team. She was the conference’s player of the week once last year and added a second player of the week this season. Stearley was named North Coast Athletic Conference Volleyball Player of the Week on Sept. 17 after her performance at the DePauw Tiger Invite. 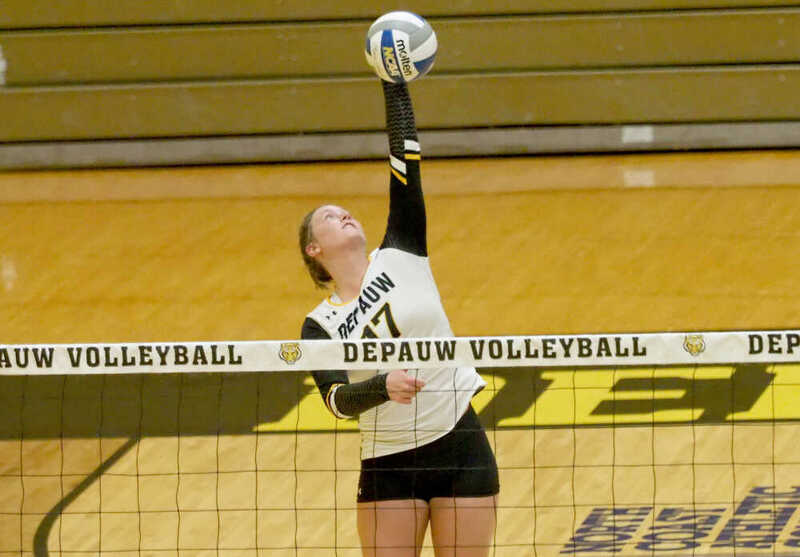 Stearley was an all-tourney selection after she led DePauw with 63 kills in 16 sets (3.94 per set average) and also hit a team-best .305. Her 3.62 digs per set were second and her eight blocks were second highest. The Tiger were 3-1 over the weekend with the lone loss in four sets to top-ranked Calvin. DePauw opens NCAC Tournament play today at 11 a.m at Wittenburg University in Ohio. In 2017, the Knights won the regional championship and were 30-8 overall and Kerstie Shaw received an offer to play collegiately at Division Bowling Green State in Ohio. She has since earned a scholarship with the Falcons program. This season the team has gone 9-3 in conference and is 15-10 overall as Shaw has played in 11 matches overall and has a tottal of 28 digs. She has a season high of six digs accomplished on Oct. 5 against Kent State. Over the course of her Northview career, Shaw was a team captain and was 130-20 during her four years and was all-Western Indiana Conference in 2015 and 2016. At Saint Mary-of-the-Woods College, McKenzi Kumpf is wrapping up her senior season in style as the Pomeroys enter the 2018 USCAA Volleyball National Championships as a No. 3 seed. the team is making its fourth straight appearance in the national finals in the fourth year of the program. The Pomeroys are looking to erase the frustration of finishing as the runner-up the past three seasons. Kumpf comes in second on the team with 290 kills and has 327.5 points. She also has 309 digs and 24 total blocks.